Were you expecting traditional brownies? 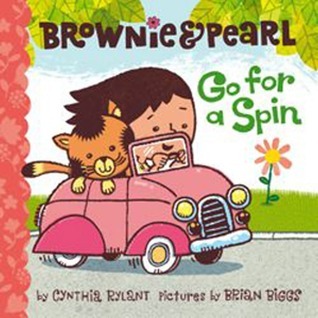 Brownie and Pearl go for a ride in Brownie’s car. They pick up the mail from the mailbox and deliver it to everyone. But when it’s time to get out of the car, Pearl refuses to leave. She likes the car. Pearl lures her out with treats, and they have a picnic on the lawn. 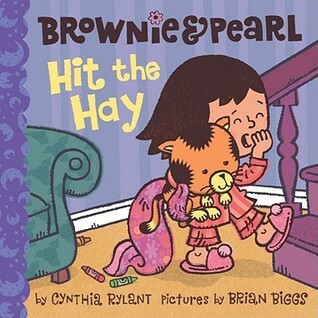 It’s time for bed, Brownie takes a bath, puts on her jammies, gets a snack, and reads a book about a kitty. Pearl wants to hear the story again. They go to bed and curl up in tight little balls under the covers and go to sleep. 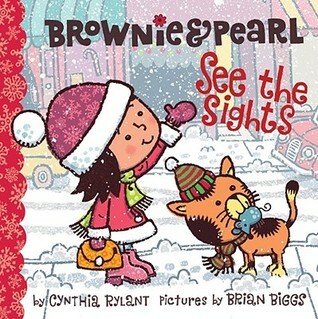 Brownie and Pearl grab their handbag and toy mouse and go out to see the sights. First they see the hats in the hat shop, then they try on shoes in the shoe shop, and then they share a cupcake at the cupcake shop. All this shopping makes them tired, so Brownie and Pearl go back home for a nap. 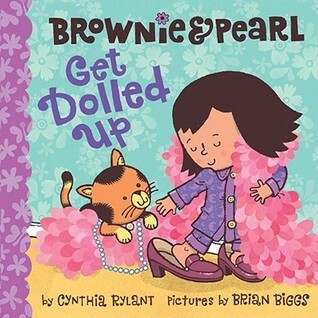 Brownie and Pear get all dolled up to go out. Brownie gets a feathery boa and Pearl gets pearls. They get powder, lipstick, glitter, and perfume. Now they are powdery, feathery, sparkly, and shiny… too bad they’re only going to bed.